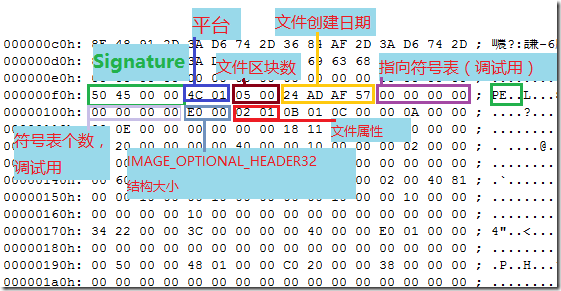 #define IMAGE_FILE_MACHINE_I386              0x014c  // Intel 386. #define IMAGE_FILE_BYTES_REVERSED_LO         0x0080  // Bytes of machine word are reversed. #define IMAGE_FILE_BYTES_REVERSED_HI         0x8000  // Bytes of machine word are reversed.